TORONTO (Reuters) - Newmont Mining shareholders on Thursday approved the company's $10 billion takeover of Goldcorp Inc which is set to create the world's biggest gold producer with assets across the Americas, Africa and Australia. 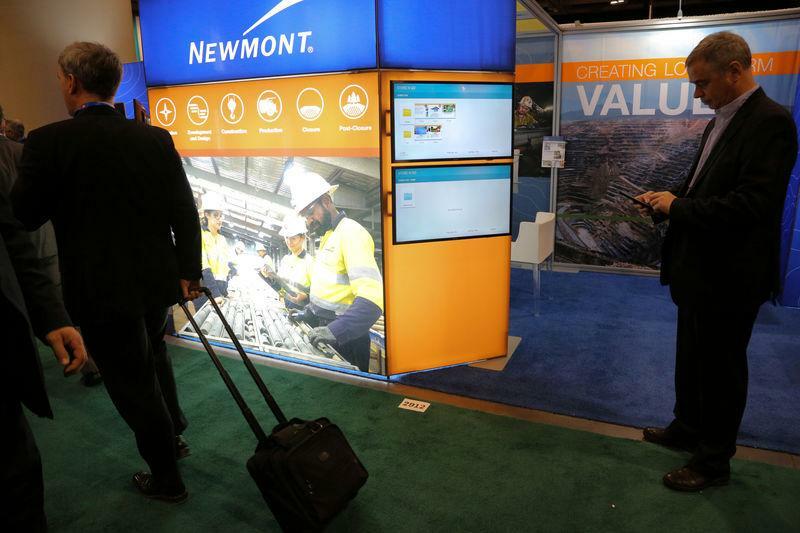 About 98 percent of votes at a special meeting were in support of Newmont's proposal to issue new stock to fund its takeover of Goldcorp, the Denver-based company said in a statement. Goldcorp's investors voted to approve the acquisition last week. The deal, the biggest takeover in the gold sector's history according to Refinitiv data, faced some initial opposition from Newmont investors who said it overly favored Goldcorp shareholders. But they rallied behind the proposal on the promise of a special dividend. "We thank Newmont’s shareholders for their overwhelming support for this compelling value creation opportunity as we build the world’s leading gold company," Newmont Chief Executive Gary Goldberg said in the statement. The new company, to be called Newmont Goldcorp, will overtake current market leader Barrick Gold Corp in annual production, churning out 6 million to 7 million ounces of gold annually over the next 10 years, compared with Barrick's forecast of 5.1 million to 5.6 million ounces for 2019. Newmont's acquisition of Goldcorp had faced several hurdles, beginning with Barrick's hostile takeover bid for Newmont in February, which required it to abandon its deal with Goldcorp. That was resolved through the creation of a joint venture of Newmont and Barrick's operations in Nevada, which was estimated to create $4.7 billion in synergies.